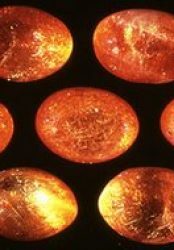 Now an international team of scientists report in the journal the Proceedings of the Royal Society Athat the Icelandic spars behave like mythical sunstones and polarise light. The Vikings were skilled navigators and travelled thousand of kilometres between Northern Europe and North America. But without a magnetic compass, which was not invented until the 13th Century, they must have relied on other navigational aids. Without the stars, which would have been out of sight during the constant daylight of the summer months, the sun would have been their best bet to set their course by. But on cloudy or foggy days the seafarers would have been left with only the direction of the wind and swell to guide their way. Norse legends tell of seafarers lifting stones to the sky to spy the direction of the sun when it was hidden by cloud cover. Earlier this year, a study in the Philosophical Transactions of the Royal Society B reviewed the evidence that naturally forming crystals can selectively block light of one polarisation – how waves of light can be restricted to certain directions of oscillation. 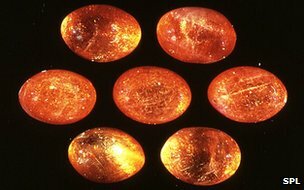 The new result shows that Icelandic spars, which are formed from crystallised calcium carbonate, are good polarisers and could have been the raw material of the mythical sunstones. The spars can be easily cleaved and crafted into a rhombus shape required for the polarising effect, and the discovery of one on the wreck of an Elizabethan ship that sunk in 1592 “looks very promising” the authors report.